Sandton, 29 November 2017 – Financial planning for education came under the spotlight at a roundtable event recently hosted by Discovery Life. The discussion focused on key insights from a White Paper Discovery Life developed on current trends in education funding and protection in South Africa, and finding solutions in response to the various trends. “From pre-school to finishing a first degree, the average family with two children will spend around R5 million on education in today’s terms. That means you have to save around R6700 each month per child. This is without additional protection in case of death or disability or considering other costs. Education fee increases also far outpace salary growth each year, so these fees and the amount you need to save will take up larger portions of income over time. The fact that children are starting school earlier than before and the many extra costs associated with education, such as laptops and other technology, extra tuition, sports and other activities, can shoot up the yearly costs by approximately 50%,” said Gareth Friedlander, Head of Research and Development at Discovery Life, highlighting some of the observed and projected cost trends in education. Another trend is that people are having children later in life. The average age of first-time mothers has gone from 24 to around 26 (30 for first-time mothers on Discovery Health Medical Scheme). Friedlander said that while one can argue there may be more time to build up savings before having children, it could also mean people are not saving enough for retirement because it coincides with the responsibility of funding children’s education. People have to be motivated more to create funding for their children’s tertiary education, Friedlander said as he emphasised the societal benefits gained from higher levels of education. Research shows that for each additional year of education a person’s income increases by 10%, higher education lowers people’s mortality risk by up to 22%, and each additional year of education on average boosts a country’s GDP by a vast 18%. Yet, with all these benefits clear, more than half of South African households, up to 56%, do not have financial protection plans or savings for their children’s education. “What makes this lack of protection of savings more concerning is that one in every four children will be in a situation where they experience a life-changing event of a parent passing away, becoming ill or disabled. From Discovery Health Medical Scheme data, as an example, we have seen on average 30 deaths of a parent within a month after babies are born,” said Friedlander. “The Discovery Life business model works to addresses societal issues, such as lifestyle-related conditions by motivating behaviour change and rewarding improved health. From the surplus created by having healthier clients we have, to date, shared R2.9 billion in value with our clients through the PayBack Benefit. With certain challenging trends in education funding, and considering the average family will need about R5 million to fund education, we have looked at how to refine this model to start creating a cycle that can assist to sustain tertiary education through monetising positive behaviour change. Applying this to our education protection benefits, we now enable clients to secure up to 100% of their child’s tertiary education fees when they actively engage with Vitality under our new Global Education Protector over the agreed term,” added Friedlander. Discovery certified financial adviser and panel member, Claire van Wyk, adding to the discussion said,” The value of financial planning for education – saving, protecting and finding funding mechanisms – is highly undervalued. There is an overall need to show people that investing in protection and saving for education adds more value than life’s luxuries. 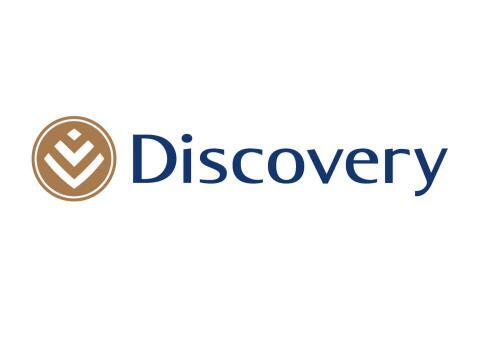 Discovery Life is a subsidiary of Discovery Limited launched in 2000 and is South Africa’s largest pure risk writer in South Africa in the intermediary channel. It has captured 28.8% of the South African protection market share (intermediated retail affluent) with over 800 000 individual and group policyholders. Discovery Life was the first South African insurer to separate risk from investment, leading significant changes in the industry. Discovery Life addresses the problem of underinsurance through its unique integrated operating model and through innovative product development. The model allows Discovery Life clients to pay more accurate premiums that reflect the dynamic nature of their health and their risk profiles. This positively affects lapse and claims rates for the insurer and clients have improved mortality and morbidity rates. The Discovery Financial Adviser Academy was launched in 2015 to develop and increase the number of trained financial advisers.